It’s a fact. Most social events are focused on food and or alcohol. So how can you stick to your diet without feeling like a weirdo or condemning yourself to social isolation? Try these tips. It may be hard not to take the shot or scarf the nachos at the Cinco de Mayo celebration. Don’t fight the tide, change it. In other words, suggest an alternative. For example, would the crew be up for a hike or rock climbing instead of vegging at the local pub…again? If this time is really different, say so and say why. When your why is big enough, the how is often easier. That includes figuring out ways to push back on peer pressure. For example, maybe your blood pressure or a1c numbers would be improved if you lost a few pounds. Maybe your high school reunion is coming up and going down a size will help you feel more confident for the big day. Get clear with yourself about why you are dieting. Be sure the reason really matters and share it with your friends. They may even secretly admire you or be impressed. When you explain your motivation with confidence your friends will give less push back. After all, it is hard to argue with conviction. In some ways, friends are like clothing. You have different pieces for different occasions. Be sure the expectations you have of your friends are reasonable. You probably wouldn’t wear jeans to a wedding. Likewise, you wouldn’t expect support or encouragement from the friend who never takes anything seriously. There is a saying that goes, don’t go to the hardware store for milk. If you want support for sticking to your diet, be sure you are asking friends capable of offering the kind of support you need. Sometimes ribbing is more about fear and insecurity than anything else. 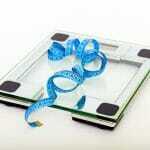 Maybe your friend is worried about how or who you will be when you lose weight. Maybe your friend also wants to lose weight but doesn’t yet have the confidence to try. Be clear about your goals anyway. Invite friends to try new recipes or restaurants with you. Change up your routine so it isn’t as focused on consuming calories. It can be very demotivating when your buds don’t support your diet goals. Own your feelings. Acknowledge that you’re disappointed in them, which feels painful and hard. Understand that you are not alone. Many people share these same feelings. Be gentle and patient with yourself and recommit to your goals. Who will have the last laugh when you lose the weight?